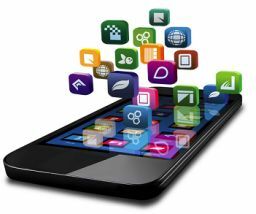 It is not that difficult to understand the virtues of an enterprise mobile app but what may stop you getting one developed for your venture or business are affordability and a lack of acquaintance with the experienced mobile application developers. Both the obstacles will disappear if you, yourself, are convinced that you do need one such app. These features either contribute in conversions or help in reducing cost and that ultimately affects the ROI. First of all mobile apps improve the brand image and if developed in accordance with the Brand Book, these contribute in brand-building. This single investment can save you from recurring advertising expenditures. Every time you want to launch a new line of products, offer discounts or want to send greetings to your customers, you can do so through the app. There will be less money spent on billboards, press ads or street furniture. A mobile app keeps the users always in touch with your brand and makes them learn about your products or services in detail. It makes them more susceptible to conversion. These apps go viral easily, giving a quick boost to your marketing process. The ‘keeping up with the Joneses’ factor comes into play. This is an advantage you should make the most of since this does not cost you anything extra but provides you a chance to earn more. Apps marketing can minimize your recurring expenditures on maintaining agency, franchisee or distributor channels. Everything can be managed centrally. It helps building a loyal customer base, ensuring recurring businesses from the existing customers. Returns will increase accordingly. Customers nowadays prefer making purchases through these apps since the transactions remain secured. This feature definitely increases conversion. Besides, you can get a better hold on the customer data. You can be saved from frauds and charge-backs. At this age of e-commerce, businesses are almost handicapped without the mobile apps. Take a look around and also inside your own mobile device. We are sure we would not have to tell you more on this issue. Please contact us anytime if you want to know more and learn how we can help you develop one for your organisation. Adroit People SP. Z o. o.
Adroit People India Pvt. Ltd.